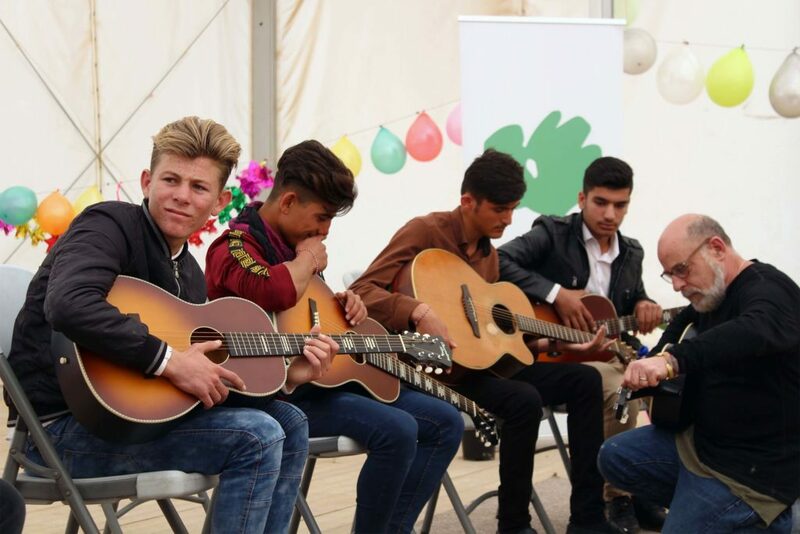 On March 26th, SEED Foundation in collaboration with its partners Jerry Joseph and Nomad Music hosted the first day of guitar lessons for the youth living in Dohuk. Jerry Joseph is an American musician and songwriter, he has played his music around the globe in places such as Ireland, England, and France. 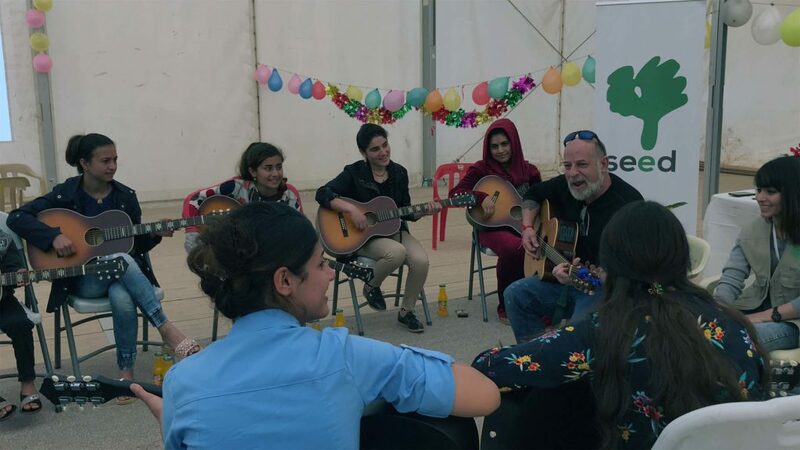 Joseph and Nomad Music, which aims to empower people in crisis through music, traveled to Chamishko camp, in Zakho on March of 2019. 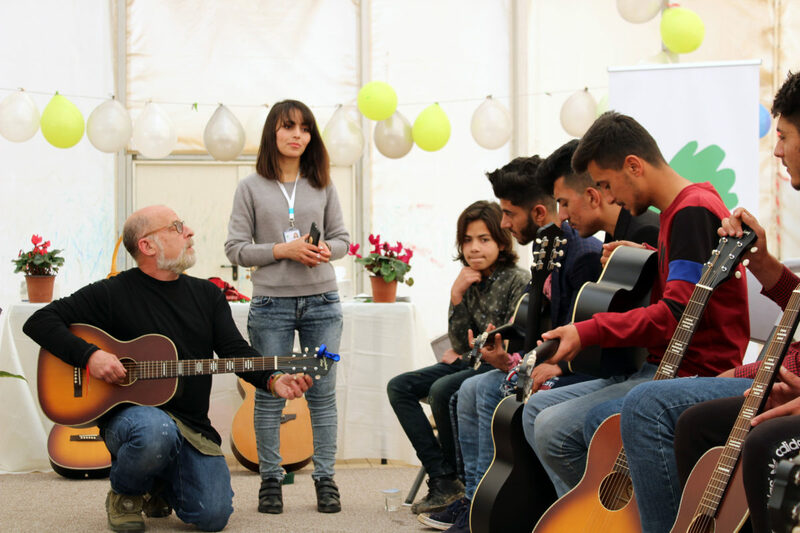 During his visit, Joseph taught three days of guitar lessons as a part of SEED’s Psychosocial Support Program to the youth, boys and girls, living in the camp. 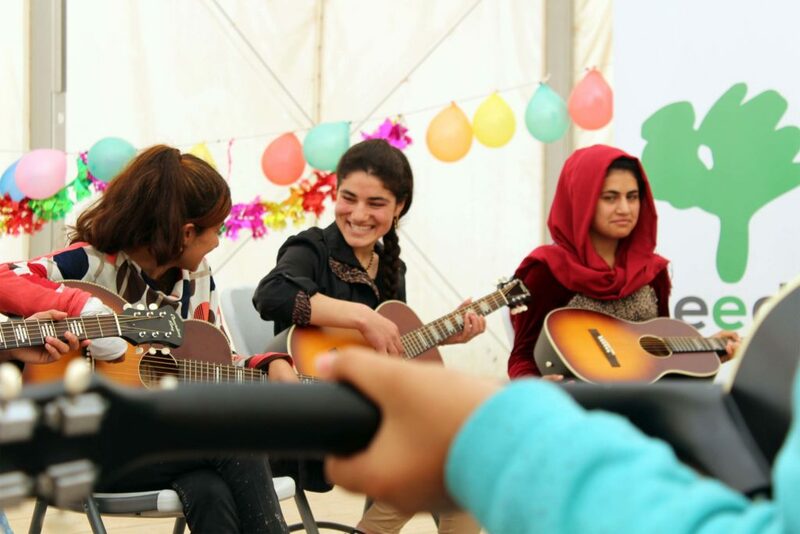 These lessons aim to empower participants through laughter and joy, they also offer a way for participants to express themselves through music, even to process some of the trauma and loss they have endured. 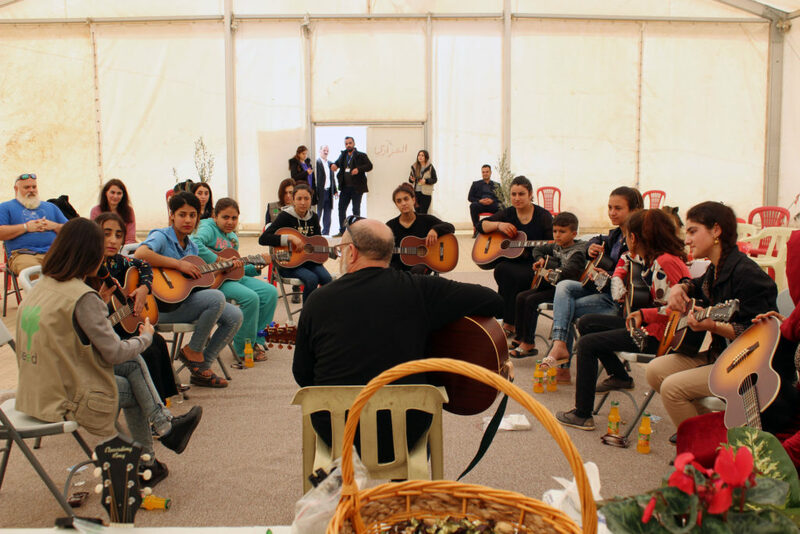 SEED will continue hosting these lessons through the help of volunteer guitar teachers. Joseph’s previous travels include a trip to Kabul, Afghanistan where he volunteered as a rock music teacher. Joseph’s first trip to Kurdistan was in May 2017 where he visited the Arabat camp outside of Sulaymaniyah in Kurdistan. Joseph and Nomad Music have also generously donated the guitars to the participants. To support this project, please donate to this page. 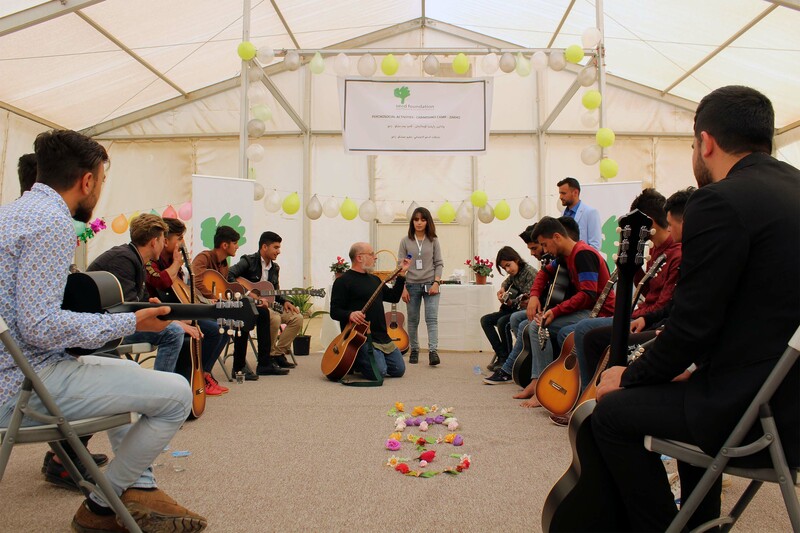 All the donations will go to building a permanent and dedicated SEED Center in Chamishko Camp, Zakho, where we are delivering a range of services to help support people in their recovery.